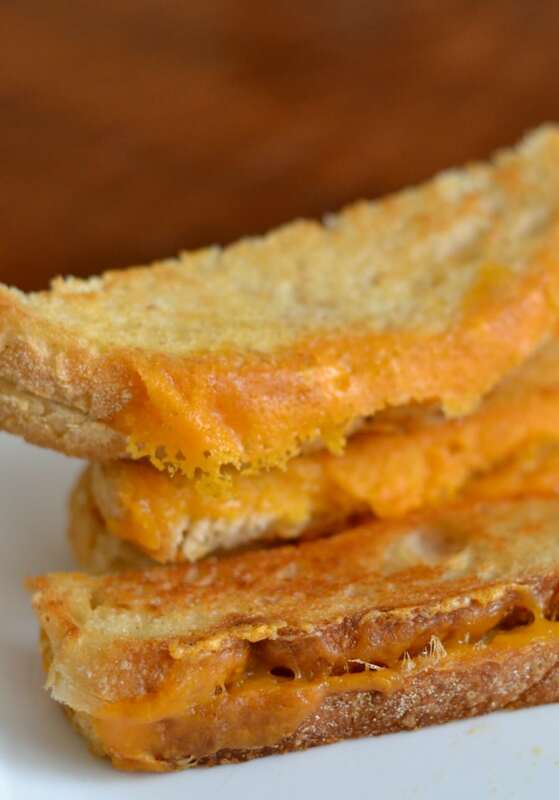 What if you could get the best bite of a grilled cheese sandwich in EVERY bite? 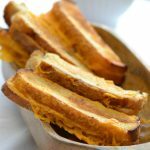 You can with this easy recipe for grilled cheese sticks baked in the oven. This post is sponsored by Sargento® Cheese. 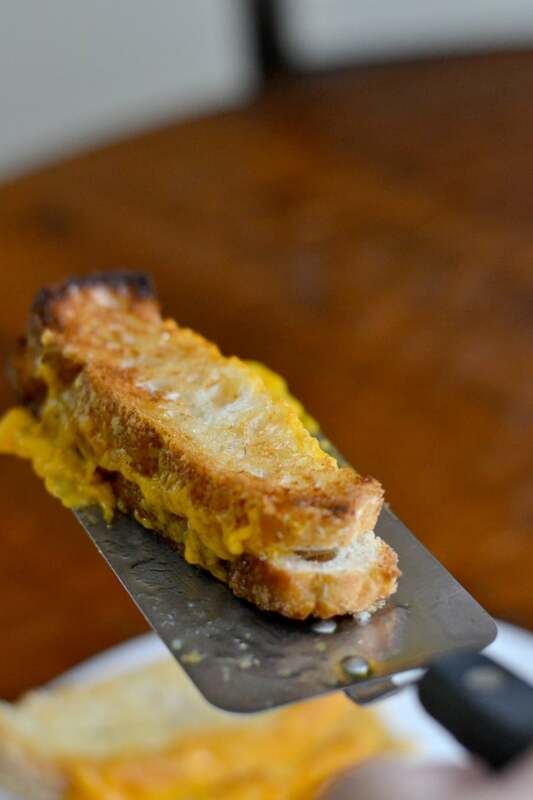 It’s got to be that part right at the edge of the crust where the cheese has melted over the side of the bread. 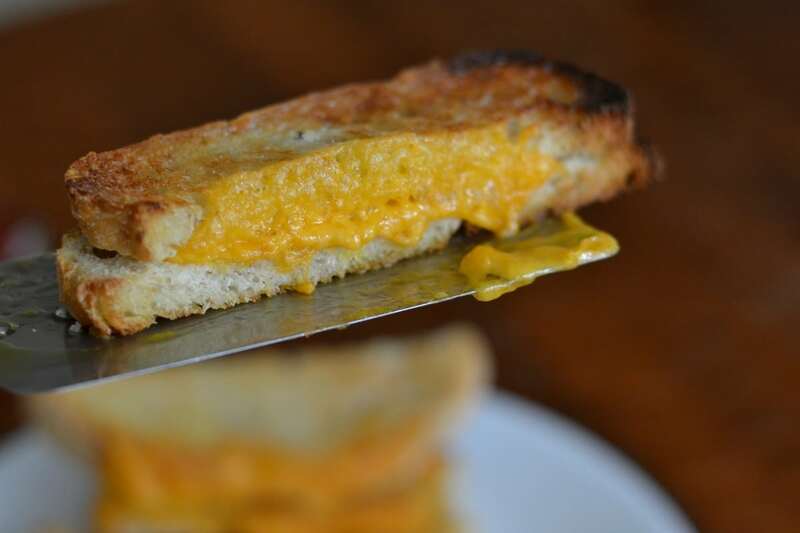 The bread and the cheese become one, with a delectable crispy and chewy texture, and the sharp cheddar flavor comes through in all of its intended glory. The other day I had an idea: What if the WHOLE sandwich was like that one perfect bite? What if, instead of slogging through the slightly boring middle of the sandwich on your way to the delicious edge, you could get bite after bite of that crispy-chewy-cheesy amazingness? I headed into the kitchen to try and turn my vision into reality. And, with just a few simple ingredients and few minutes, my Oven Baked Grilled Cheese Dipping Sticks were born. As with all beautifully simple recipes, what makes this so good is the technique and the quality of the ingredients. You can’t just grab any bread and cheese and make this happen. You need the good stuff. First, I sought out some quality sliced bakery bread. Sourdough is a great choice, but any sort of hearty sliced bread will do. You want to choose a loaf of bread where each slice is an elongated shape (vs square) so that cutting the slices in half HORIZONTALLY will result in the ideal “dipping stick” shape. Next, the cheese. 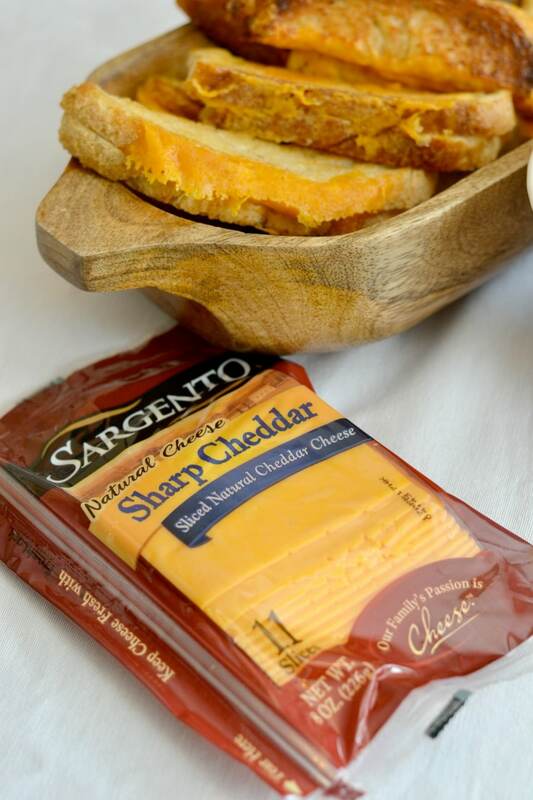 Sargento® Sliced Cheese is absolutely perfect for this recipe because Sargento cheese is 100% real, natural cheese. The key to making these oven baked grilled cheese sticks extra delicious is to make sure the cheese slices are bigger than the bread you’re using. You want the cheese to stick out about an inch on either side of the bread strips. That is where the melty magic happens in the oven. After a few minutes under the broiler, the cheese will melt and the bread will start to toast. Flip it over and toast the other side. When you’re done, you’ll have the most delectable dipper for your favorite soup. If there’s any cheese left on the baking sheet, don’t let it go to waste! It’s delicious on its own. In fact, on the day I made these, I ate so much extra cheese off of the baking sheet, and took so many “testing” bites, I declared I needed to go a cheese fast for at least a week. 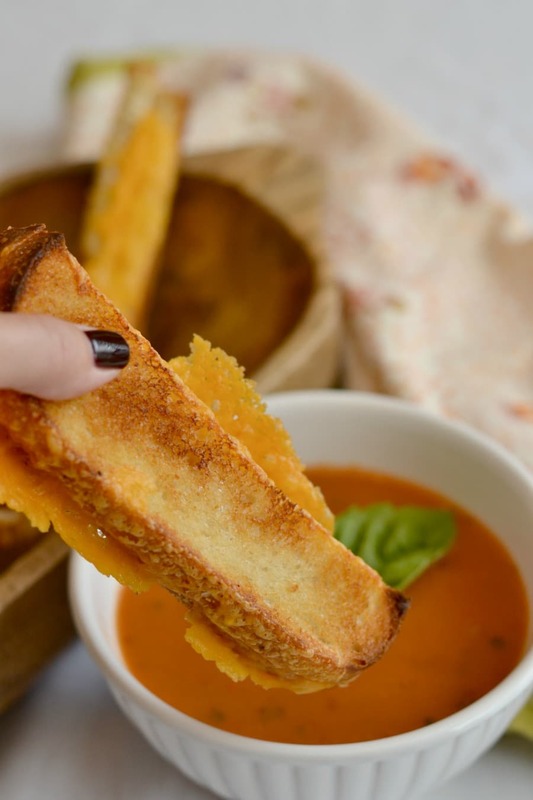 Perfect for entertaining or a cozy meal at home, these grilled cheese dipping sticks are baked to perfection in the oven. Preheat the broiler and place a rack about 8 inches beneath it. 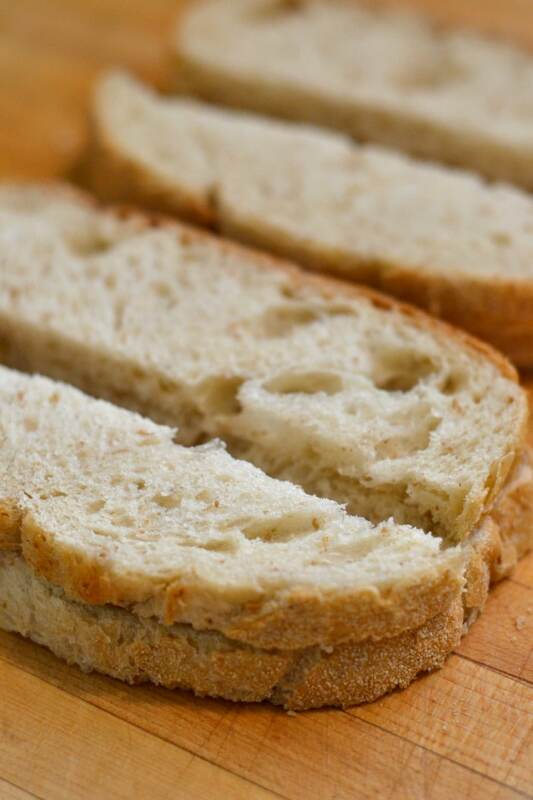 Slice the bread lengthwise into strips about 2 inches wide. Cover a baking sheet with nonstick foil. Spread some butter or margarine onto one side of one bread strip and place it butter-side down onto the foil. 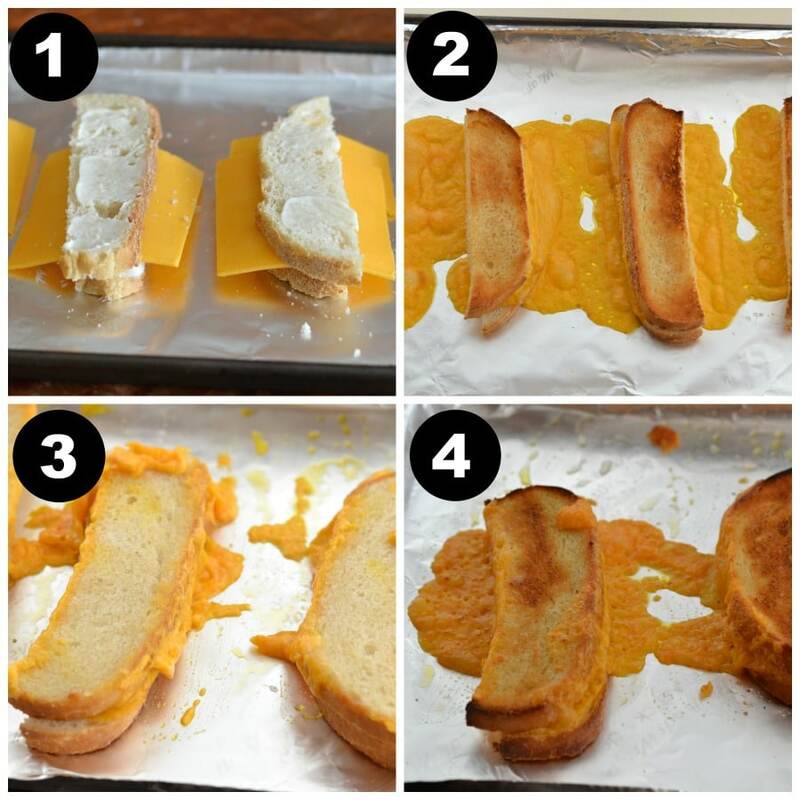 Lay the cheese over the bread so that it sticks out about 1 inch on each side of the bread strip. Top with another strip of bread and spread butter on the top. Repeat with additional bread and cheese. Place baking sheet under the broiler for approximately 5 minutes, or until the bread is toasted to your desired level (keep an eye on it because the bread will toast quickly!). Return to the oven and broil for several more minutes or until bread is evenly browned. Serve immediately, paired with your favorite soup. I can assure you that these Oven Baked Grilled Cheese Dipping Sticks will be the most delicious mess you’ve ever made. It’s comfort food at its finest AND simplest. 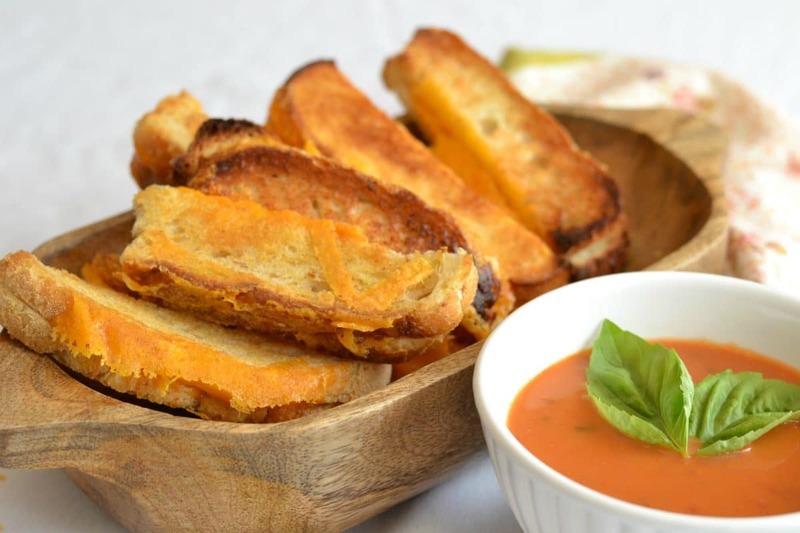 These are perfect for dunking in tomato soup — delicious!